This template comes with a built-in mobile-friendly theme that specifically adapts your site for any visitors that are viewing the website using a smart phone or tablet. 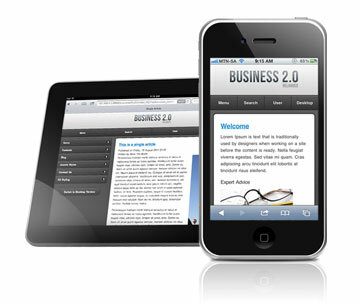 The mobile theme provides a simple and elegant browsing experience for visitor to your device using a small screen browser. 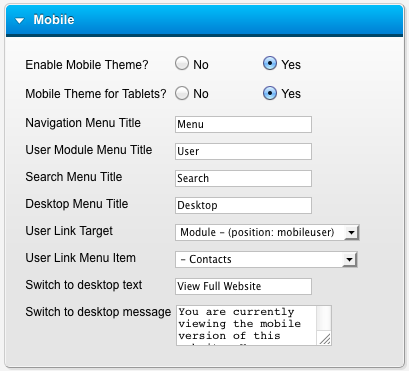 You do not have to install any third party plugins or manage a separate site for your mobile traffic - just turn enable the feature in the template options! The mobile theme supports most modern smartphones, including the very popular iPhone and Android handsets as well as tablets.